Couple this sobering report with the fact that most parents don’t even “see” their child’s weight problems let alone do anything about it, and a looming crisis for our National Security is clearly on the horizon. This is not the time for more studies and no, we don’t need billions in government funds to help stem this crisis as suggested by Mission: Readiness. All we need is for folks to do one simple thing in their homes: take out the high fructose corn syrup (HFCS). 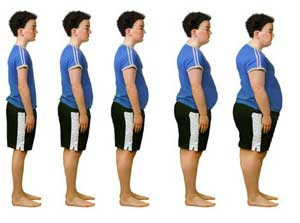 If families did just this one thing and didn’t change anything else, the growth of obesity would stop increasing from where it is right now and start to decline. Lose the sodas (or at least buy sodas made with sugar and not HFCS), juice boxes, and other foods sweetened with this deadly, factory produced sweetener and huge benefits would rapidly ensue. Schools that can the soda vending machines have now been shown to have reduced obesity levels, even if home consumption remains unchanged. I’m not one for excessive government regulation, but this just might be the time for a law outlawing high fructose corn syrup as well as ANY type of sweetener that metabolizes in a similar fashion (like agave nectar). Maybe Congress could actually do something that would REALLY reduce healthcare dollars spent – outlaw high fructose corn syrup. The time has come to take high fructose corn syrup out of the American diet for good. Our National Security is depending on it.